From the first CONTACT, to our professional evaluation of the CONDITION of your equipment, to preventive maintenance and consultation services that provide optimal CARE, Konecranes will tailor a service program to lift your business. 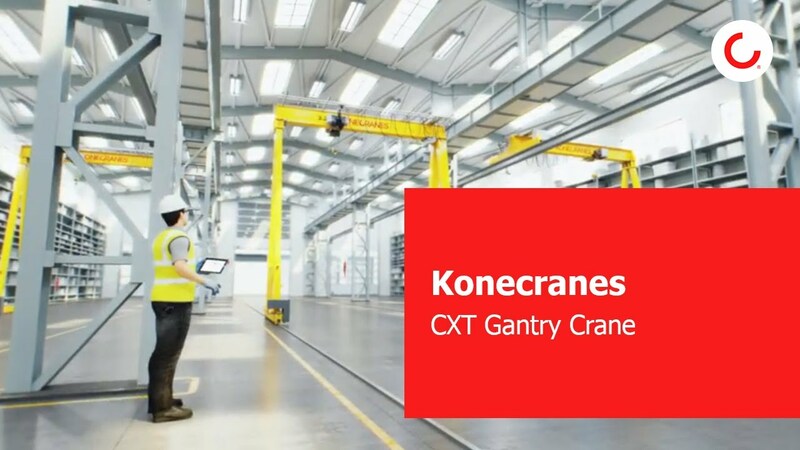 At yourKONECRANES.com customer portal, usage data, maintenance data and asset details are linked, giving a transparent view of events and activities. Aggregated data can be viewed, analyzed and shared quickly, for a single asset or an entire fleet of cranes. With specially-designed steel structures, the CXT Gantry Crane can fit into different kinds of buildings and areas. The compact CXT hoist maximizes the use of space and allows efficient work around the crane.